This Grade II listed Georgian townhouse in the heart of Marylebone was built in 1820 and designed by J T Parkinson. 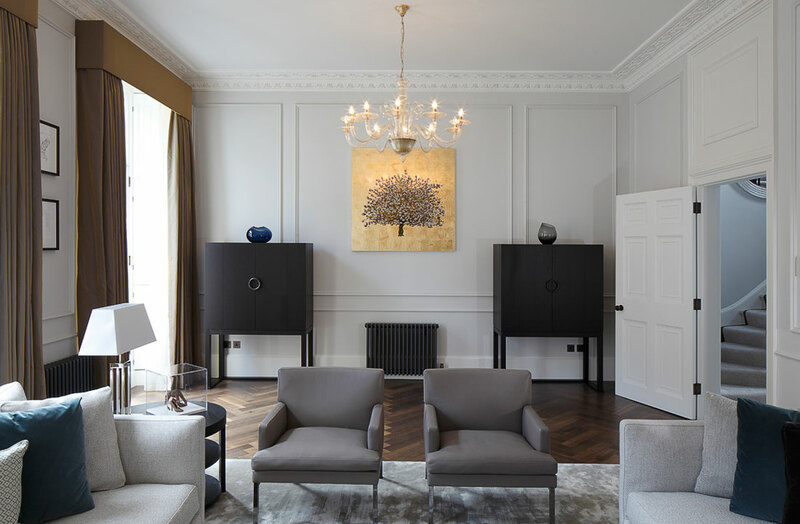 The interior of the property was sensitively restored with contemporary design features incorporated. The interior architect required formal window treatments to frame the large windows and emulate the buildings Regency past. 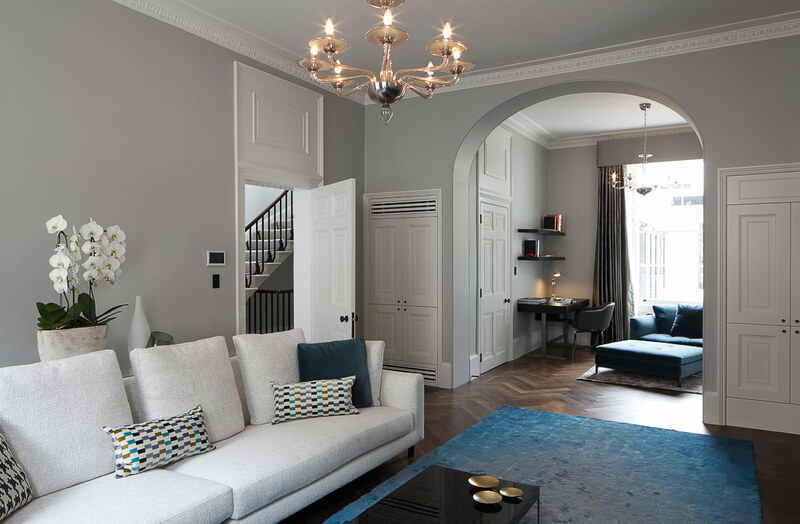 Pinch Pleat curtains complete with straight pelmets were chosen and installed through the property to provide an elegant, clean finish and neat framing of the period windows. 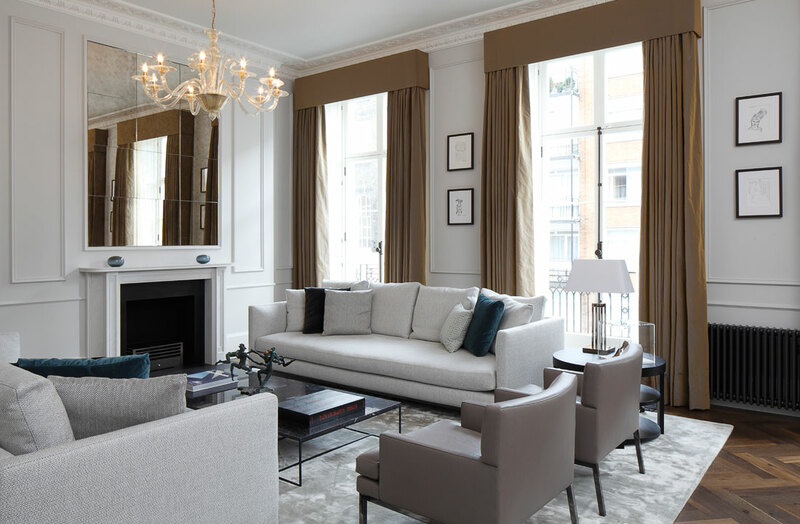 Plain silk fabrics were used throughout the public areas to create a luxurious yet understated, contemporary finish. 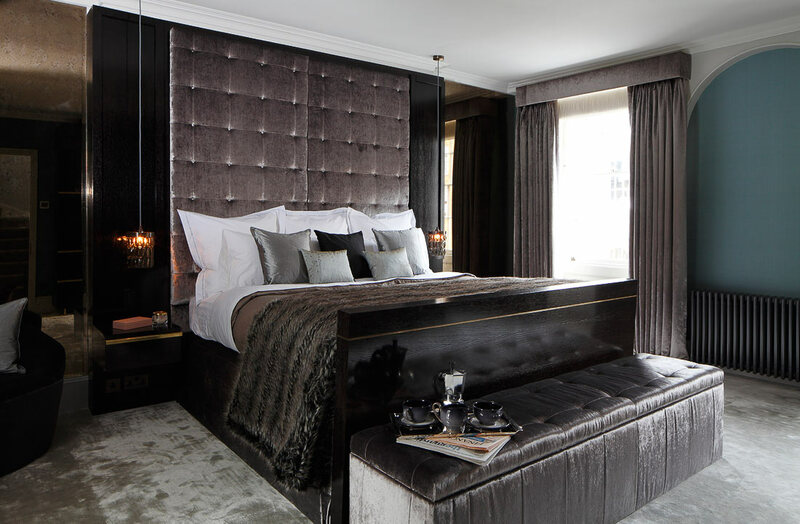 A soft crushed velvet was used in the Master Bedroom for both the curtains and the buttoned headboard creating a cosier feel whilst retaining the contemporary feel.